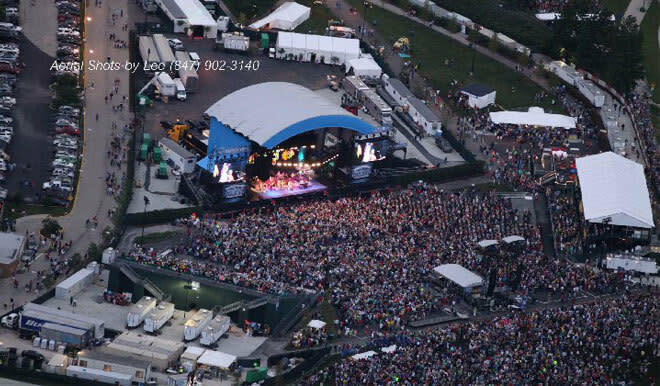 Charter One Pavilion is an outdoor concert hall located on Northerly Island on the grounds of the former Meigs Field general aviation airport. The venue seats 7,500 people, hosting different musical artists and shows. Charter One, a division of the Royal Bank of Scotland Group, owns the naming rights.